If you know me or are an avid reader than I am sure you know by now, that I have a liquid lipstick obsession! 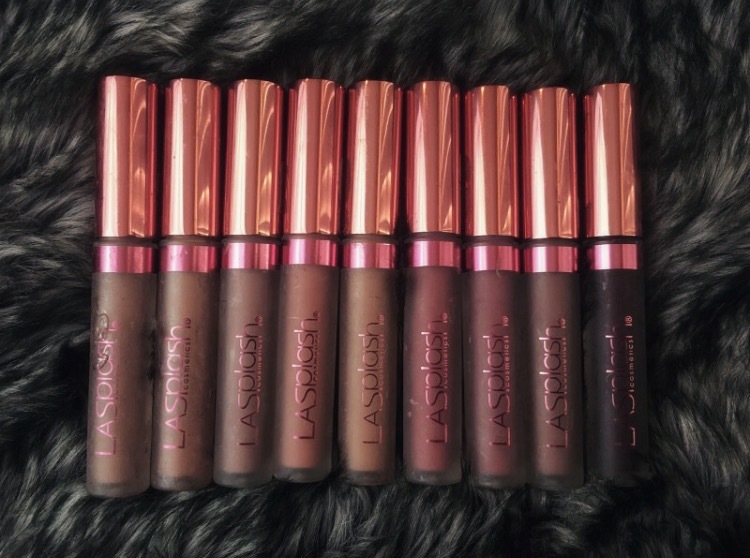 Now recently here I have been on a mission to try out all the top liquid lipstick brands out there, and LA Splash's liquid lipsticks were definitely high on my list! Today I tried out the Velvet Matte formula (one of many formulas LA Splash provides) to see just how good these bad boys are. 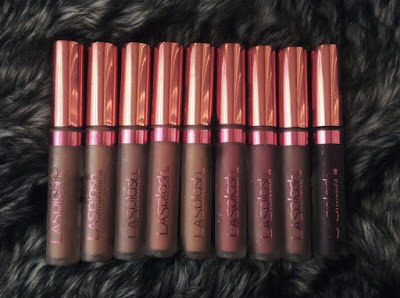 I have 9 shades from the velvet matte collection all of which are part of a collaboration with "Laura G."
Okay lets start out with formula. 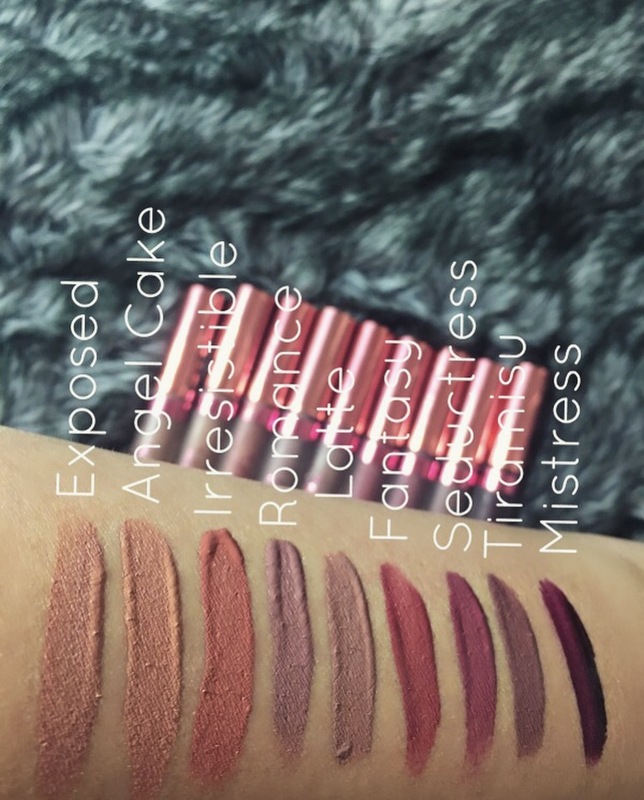 These are a little different from the average liquid lipstick because I find that while they are a more liquid-y texture they still have a slightly mousse like feel to them. The wand applicator is long and has a tapered end. My only con about these liquid lipsticks is, that with some of the colors I find the pigmentation to be lacking. 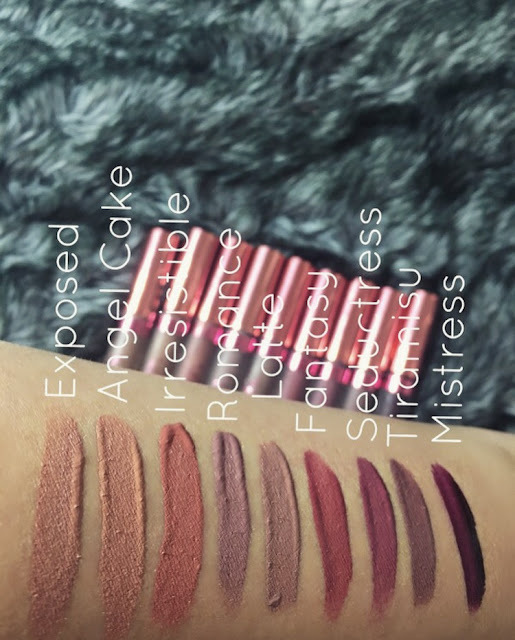 However with that being said its only patchy with some of the colors ( mostly the dark ones ) and I have yet to find any dark liquid lipsticks that arent patchy. Formula doesnt dry out the lips or flake off after a very hours. Very long wearing and build able color. The Laura G Velvet Matte collection is available for purchase on La Splash' website. Click link below to go directly to the site.